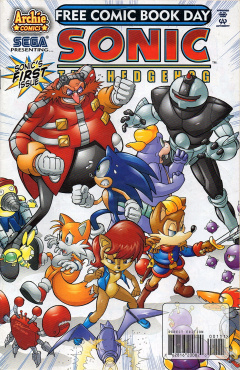 Sonic the Hedgehog Free Comic Book Day 2008 is the second Free Comic Book Day issue of Sonic the Hedgehog. It is merely a reprint of the very first issue of the main series, with a new cover drawn by Pat Spaziante. This page was last edited on 24 March 2012, at 18:22.